Следует также отметить самолет Mew Gull - одноместную гоночную модель с двигателем Napier Javelin 1a мощностью 165 л. с., ее первый полет состоялся в Грейвсенде в марте 1934 года. К июльской воздушной гонке на Королевский кубок на самолет ДальшеMore>>> был установлен двигатель Gipsy Six мощностью 200 л. с., и он развил скорость 307 км/ч. За первым самолетом, обозначенным как Type E.1, последовали четыре экземпляра совершенно новой конструкции - Type E.2. Они побили несколько рекордов в гонках и дальних перелетах, включая перелет, выполненный Алексом Хеншоу до мыса Доброй Надежды и обратно за 4 дня 10 часов 16 минут. Сохранившийся Mew Gull пережил войну и несколько аварий, был восстановлен до летного состояния и летает сегодня. Последняя модификация E.3H имела крыло и оперение меньшего размера, а также более узкий фюзеляж. 200 m.p.h. with Napier "Javelin"
WHAT is probably the fastest British aeroplane of its size and power, the Percival "Mew Gull," was demonstrated for the first time at Gravesend aerodrome on Thursday of last week, when Mr. E. W, Percival flew his latest machine in a gale of wind before a number of press representatives who had travelled down to Gravesend in a coach placed at their disposal by Mr. Percival and the Napier company. 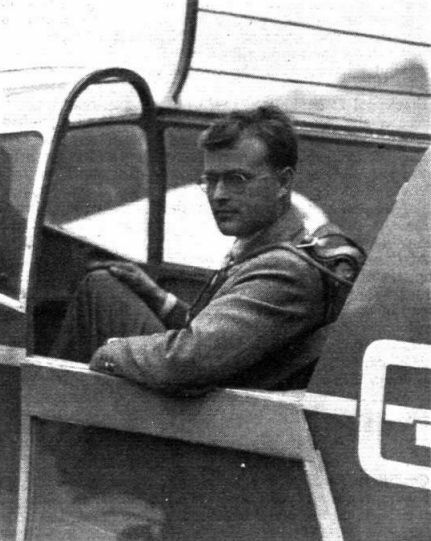 On the way down the talk, not unnaturally, turned to the likelihood or otherwise of Mr. Percival flying the new machine in the high wind, gusty at that, which blew over Kent on that day. 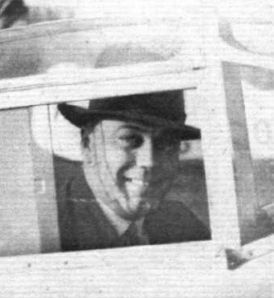 Doubts were soon allayed, however, when the party arrived at Gravesend, for no sooner had Mr. Percival greeted the visitors than he donned his parachute, got into the machine, taxied down wind without anyone hanging on to the wing tips, turned into wind, opened the throttle and was off. It was a display of sang froid which one has rarely seen equalled. The wind blew probably at 40 m.p.h. at least, gusting to 55-60 m.p.h. 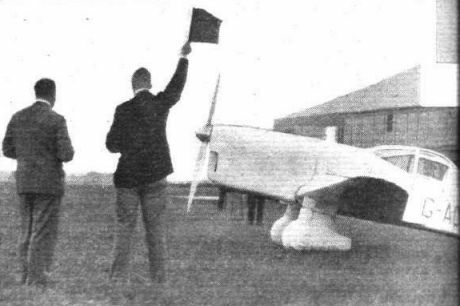 On Gravesend aerodrome one had some difficulty in making oneself understood owing to the wind. 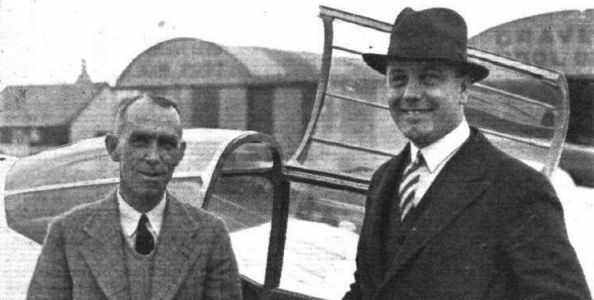 The strong wind helped the take-off and subsequently the landing, it is true, but the gusts gave Mr. Percival an opportunity to find out very early in the flight how the new machine responded to the controls. As far as could be seen, neither ailerons nor elevator need ever be used to their full extent, and ample reserve of control appeared to be available throughout. 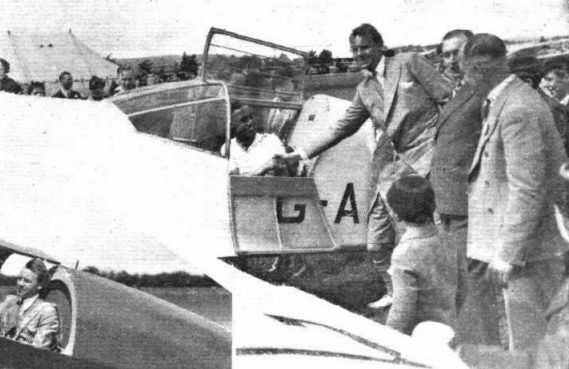 After taking the machine "upstairs" to try it out at little in the slightly steadier air, Mr. Percival came down and flew across the aerodrome, first down-wind and then up-wind, for the benefit of the photographers, There was no doubt that she was fast. Exactly how fast was difficult to judge in that high wind. A tiny machine is always apt to look faster than it is, while a large machine often looks slower than it is. Bringing the machine in somewhat fast (quite wisely in that gusty wind) Mr. Percival made a very good landing, turned down-wind and taxied in, apparently not bothered by the gusts. The rather high wing loading helped, of course, and a lightly loaded machine would certainly have been blown on to a wing tip. After the well-merited applause had died down, the party sought the shelter of the very comfortable club house at Gravesend, where refreshments were served. During these we were able to get a few details from Mr. Percival concerning his latest machine. 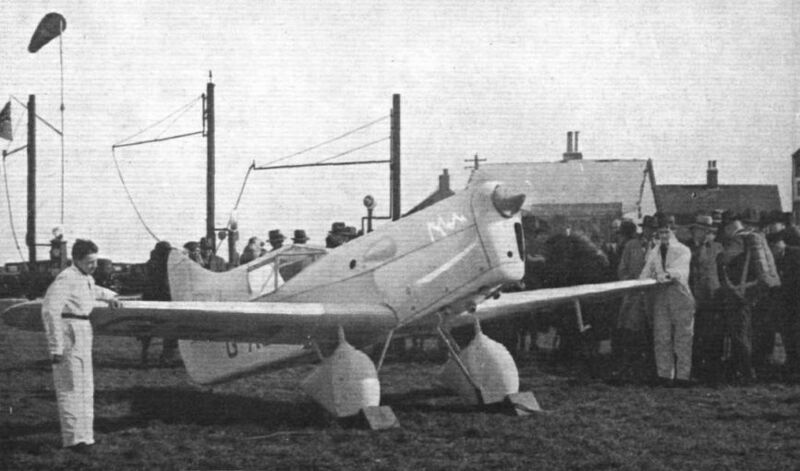 Designed by Mr. Percival himself, and built in his experimental works at the Gravesend aerodrome, the ''Mew Gull," as the new machine is called, is a low-wing cantilever monoplane of wood construction, fitted with a Napier "Javelin" engine of about 165 b.h.p. The machine is intended for the private owner who is a good enough pilot to fly it, and who wants to be able to make prolonged tours at high speed, for the carriage of press photographs from distant parts of Europe in a minimum of time, or possibly for carrying relatively small quantities of valuable and urgent mails. 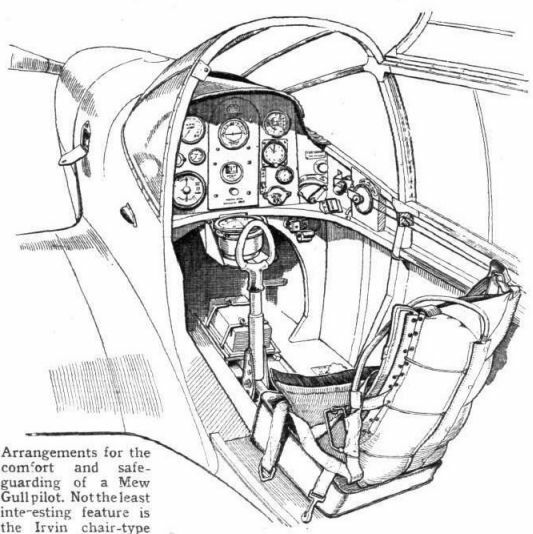 In general design the "Percival" resembles somewhat the "Gull," with which Mr. Percival has had such considerable success, but differs in being a single-seater, and in having the pilot's cabin placed very far back, in fact almost in the tail. In spite of this placing of the seat, the view is by no means bad. 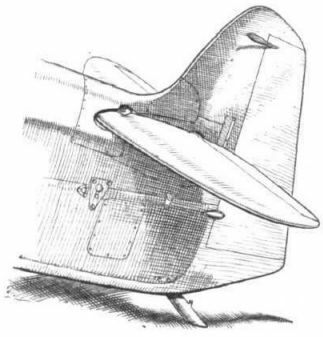 This is partly due to the use of an inverted, in-line engine, and partly to the fact that the cabin roof is raised a considerable distance above the decking in front of it. From a drag point of view, it is quite likely that the arrangement is good. 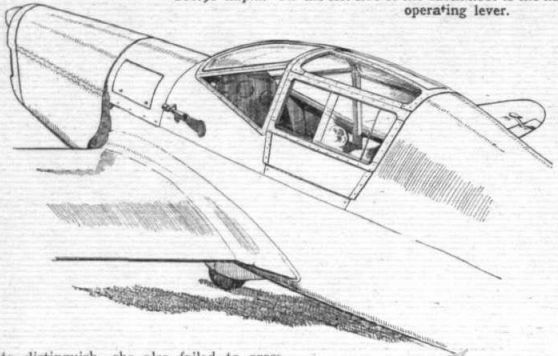 The critical part of a streamline form seems to be that just aft of the maximum cross-section, as far as excrescences are concerned, and by moving the windscreen well aft, the cabin merges into the tail very neatly. With a wing span of only 24 ft., a length of but 18 ft. 3 in., and a wing area of 78 sq. ft., the "Mew Gull" is a very small machine. Yet its cabin is by no means unduly cramped. In the deck fairing towards the tail is a luggage locker, which will take quite a large suit case, if the machine is used for touring, or a fairly bulky parcel of mails or press plates or photographs. 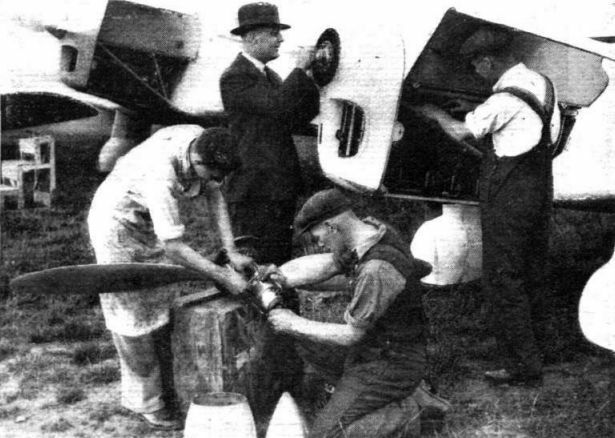 The petrol tank is in the fuselage, between the cabin and the engine, and holds sufficient fuel for a flight of rather more than three hours. As the machine will probably cruise at about 175 m.p.h., the range is approximately 550 miles. 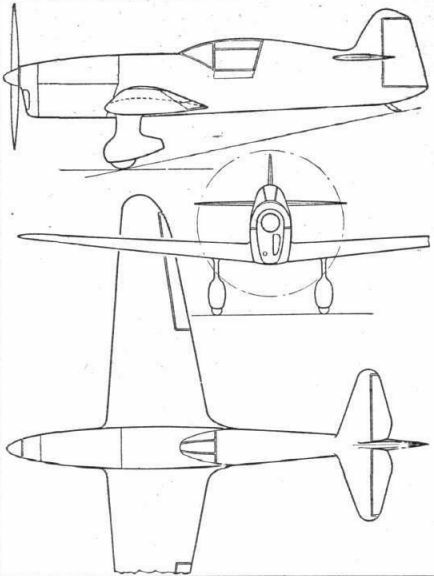 The Napier "Javelin" engine has been used with success in several of the Percival "Gulls," and is the power plant chosen for the "Mew Gull." 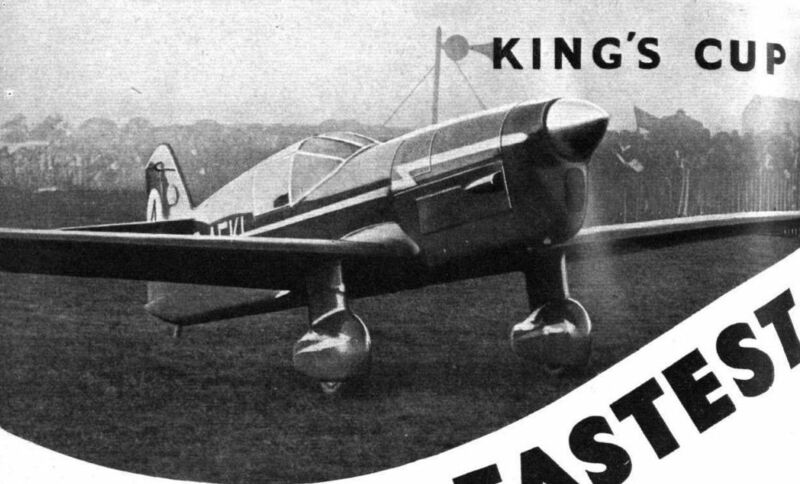 It drives a Fairey metal airscrew. With a gross weight of 1,460 lb. and a wing area of only 78 sq. ft., the "Mew Gull" is naturally not a beginner's machine, but in the hands of a good pilot it should be capable of giving a good account of itself. One can, of course, be fairly certain of seeing several in the King's Cup Race. One would like to see it in the Coupe Deutsch, but the Napier engine is just a little over the 8 litres permitted, although by the use of liners the capacity of the "Javelin" might be brought down to the required capacity. The tare weight of the machine is 996 lb., and the load consists of the following:- Petrol 227 lb. ; oil 25 lb. ; luggage 50 lb. ; pilot 162 lb. Although the prospective market must necessarily be small, the Mew Gull should appeal to those experienced private owners who require really fast and yet comfortable transport for one and one's luggage. Capt. Percival appears to use it himself for quite normal travel. The specification of the Mew Gull is as follows: Weight empty, 1,080 lb. ; disposable load, 720 lb. ; span, 24ft. ; length, 20ft. 3m. ; maximum speed, 225 m.p.h. ; cruising speed, 190 m.p.h. ; landing speed, 58 m.p.h. ; initial climb, 1,400 ft./min. ; range, 750 miles. 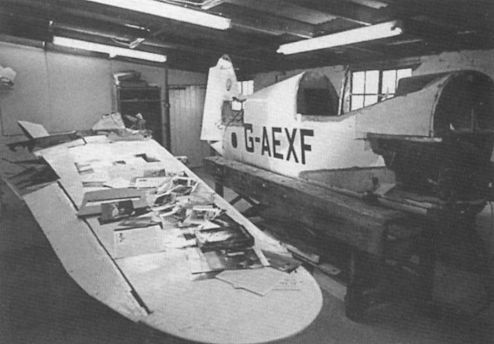 Makers: Percival Aircraft Co.. 20, Grosvenor Place, London, S.W.1. Чрезвычайно сложный в пилотировании, особенно на взлете и посадке, когда обзор летчика вперед сильно ограничен, Percival P.6 Mew Gull является классическим гоночным самолетом своего времени. G-AEXF восстановлен до пригодного к полетам состояния. PRINCE GEORGES ENTRY: The Percival "Mew Gull" which will be flown by Mr. Percival in the King's Cup Race. PRINCE GEORGES ENTRY: The Percival "Mew Gull" (Gipsy Six), although it averaged 191 m.p.h., was not fast enough to beat the handicappers. 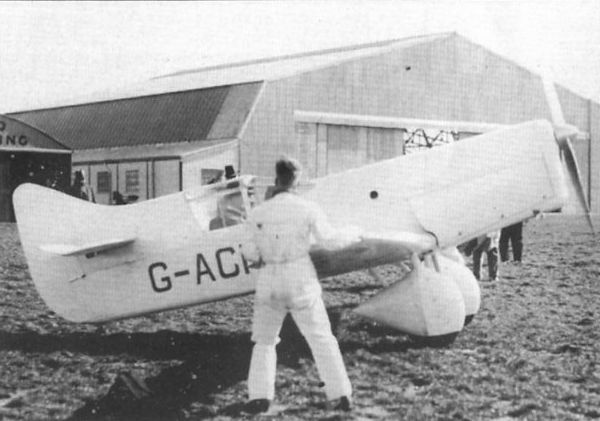 The original prototype Mew Gull, G-ACND, at Gravesend in March 1934. 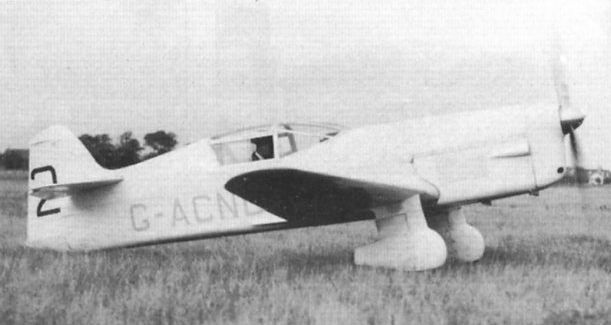 Bearing the same registration letters, is the E.2 Mew Gull, an entirely new aeroplane that appeared in 1935. The "Mew Gull" which won the Coupe Armand Esders Race in the hands of the Comte de Chateaubrun. First away on Friday the speedy Mew Gull; but on Saturday Capt. Percival bad the arduous honour of starting last. Much in little, and quickly, too - one of the T.B. refuelling units supplying the Mew Gull. Capt. S. S. Halse giving his pillar-box-red Mew Gull an airing over a trio of visitors. OFFICIAL INTEREST. 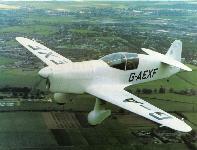 The Percival Mew Gull is the first aeroplane to exceed 200 m.p.h. in the King's Cup Air Race. 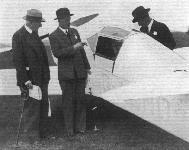 The photograph shows it being examined at Hatfield with obvious interest by Lord Gorell, chairman of the Royal Aero Club, Sir Philip Cunlifle-Lister, Secretary of State for Air, and Lt. Col. Shelmerdine, Director-General of Civil Aviation. View of the Mew Gull G-AEKL. 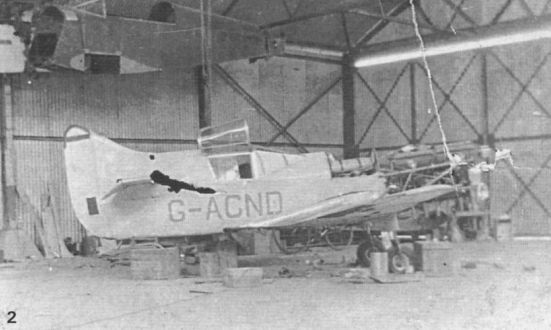 This aircraft was rebuilt after a ground collision with a Hawker Hart at Speke and was finally destroyed by German bombing of Lympne in June 1940. 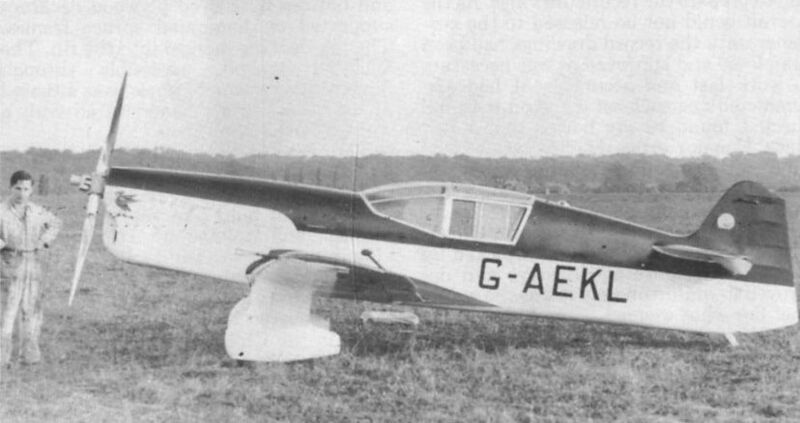 The Percival "Mew Gull" Single-seat Cabin Monoplane (200 h.p. 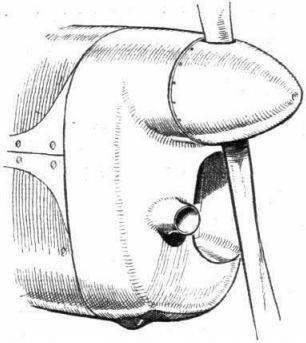 D.H. "Gipsy-Six" engine). Campbell Black's tragic Miss Liverpool. The absence of spinners is unfortunate from aesthetic and aerodynamic viewpoints. ZERO HOUR APPROACHES: The scene at Hatfield before the start of the King's Cup Race eliminating contest last Friday. 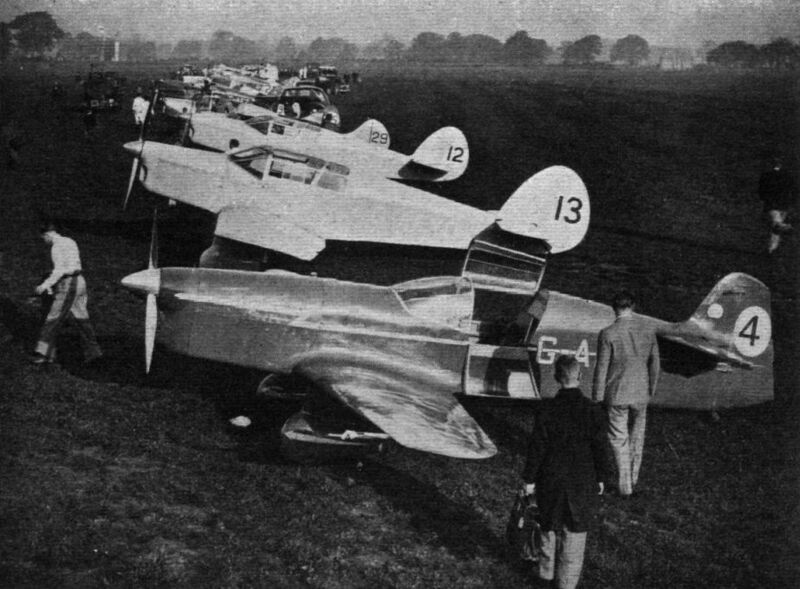 Nearest the camera is Charles Gardner's blue 1936 model Percival Mew Gull which won the final at an average speed of 233.7 rn.p.h. Gardner's victorious Mew Gull being led in after the finish at Hatfield. 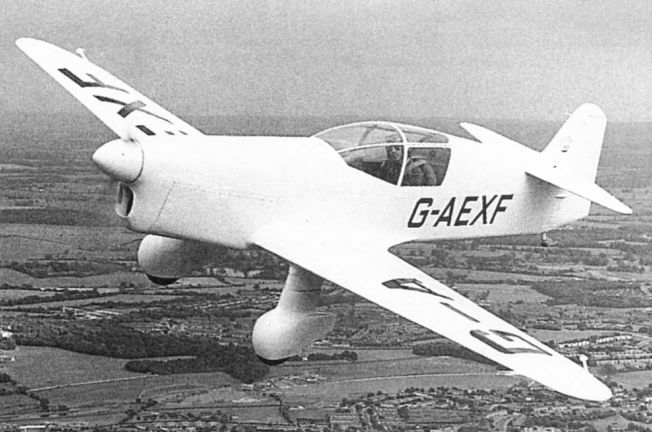 Gardner's winning Mew Gull (Gipsy Six II). Three Percival Mew Gulls - two with Series II Gipsy Six engines - are entered. This view is of Alex Henshaw's machine with Series I engine. Mr. A. Henshaw taxies his Mew Gull (a la racehorse) up to the line at Ronaldsway. He made fastest time in this machine, which was flown (with v.p. 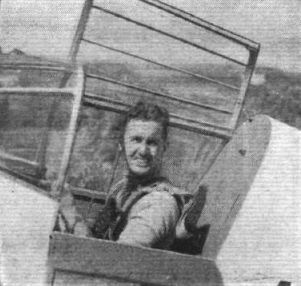 airscrew) by Major Miller in the South Africa race. 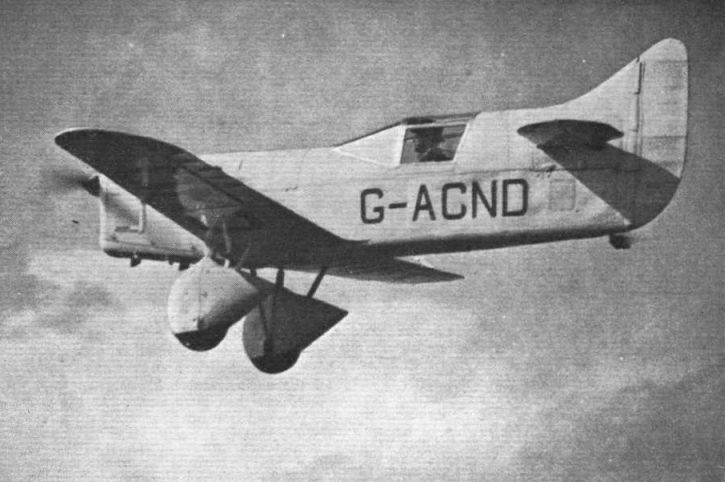 Mew Gull, seen here in its original form before modifications by Jack Cross of Essex Aero turned it into a different aeroplane. Этот самолет был зарегистрирован своим южноафриканским владельцем в мае 1937 года как ZS-AHM и носил имя "The Golden City". Ныне Mew Gull, переживший Вторую мировую войну, имеет регистрацию G-AEXF. Он был восстановлен до летного состояния и ныне сдан в аренду в коллекцию "Shuttleworth". Capt. Percival's Mew Gull, which finished third in the final and which made the fastest actual speed on both days. 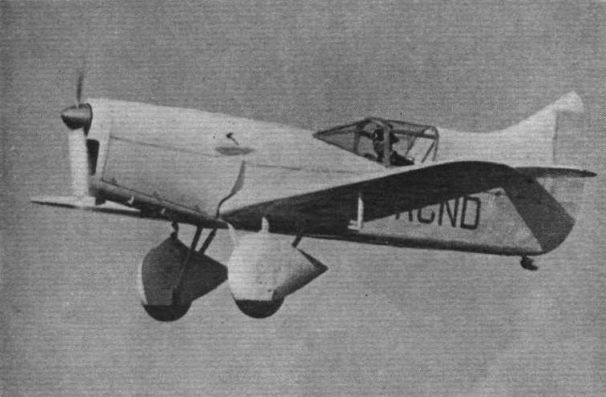 Mew Gull G-AFAA was the sixth and last of its type built. 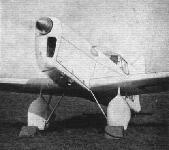 Designated Type E.3H it had a smaller wing, smaller tail areas, a narrower fuselage and was powered by a 205 h.p. D.H. Gipsy Six Series II engine. Built in 1937 the aircraft was burnt at Luton on July 7, 1945. The first and last. 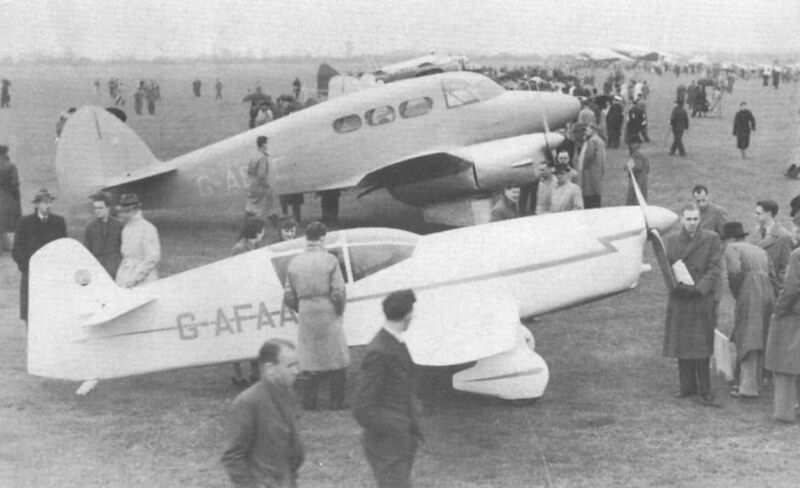 In the foreground, G-AFAA, the last Mew Gull built; in the background the prototype Q.6 G-AEYE, seen at Hayes in 1939. The oxide-finished E.3H Mew Gull, later G-AFAA, in early 1937. No 13. 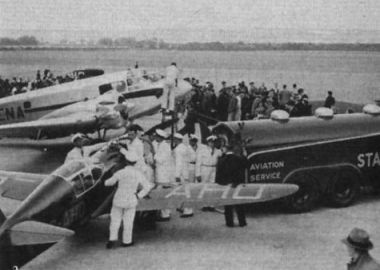 Airspeed Envoy G-AENA in company with Percival Mew Gull ZS-AHO, Baragwanath at Portsmouth on the eve of the Portsmouth to Johannesburg Race in September 1936. 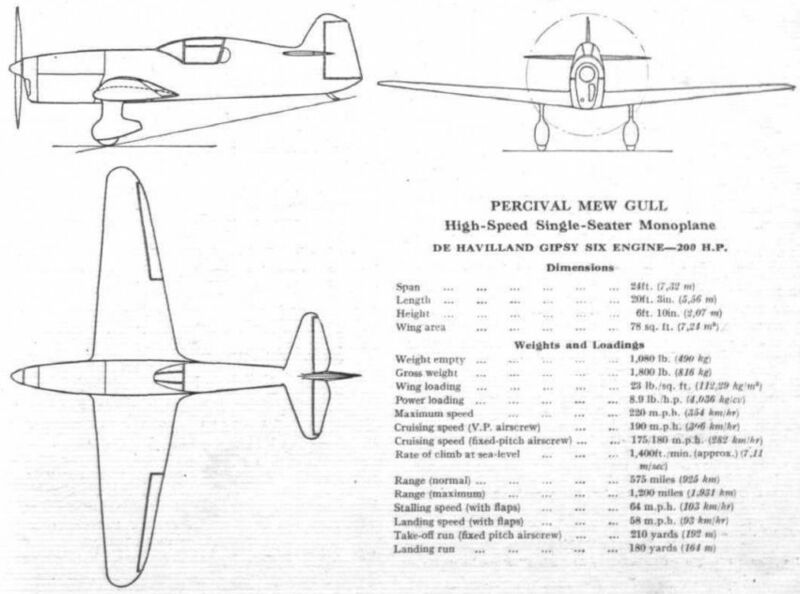 The Percival Mew Gull illustrated has one of the new Series II Gipsy Six engines. Swinging the Ratier airscrew of Major Miller's Mew Gull. 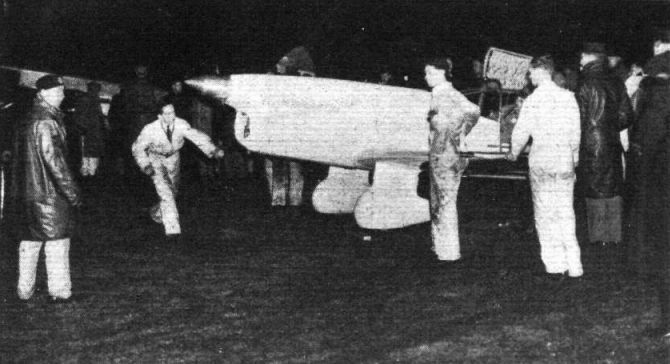 Note the impressive spinner covering the pitch-operating electric motor. Family affair: Miss Pearl Henshaw, "Pop" and Alex, clean down their Mew Gull at Baldonnell. 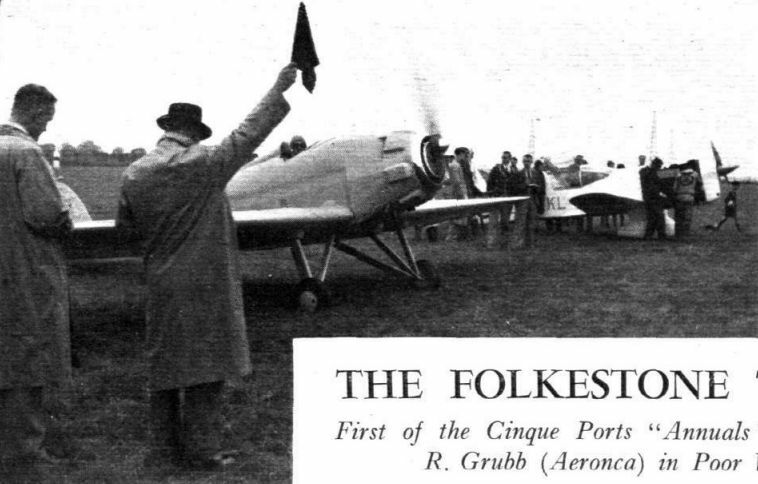 RECIPROCITY: Mr. G. de Havilland, the winner, does the handshaking act with Mr. Henshaw (in the Mew Gull) for the newspaper photographers' benefit at Cardiff. Alex Henshaw, with the Mew Gull, added another line to his long list of "fastest times" by averaging 208 m.p.h. He finished sixth. Mr. Gardner, photographed at the start. Major Miller, who is flying No.1 Mew Gull in the race, and Capt. 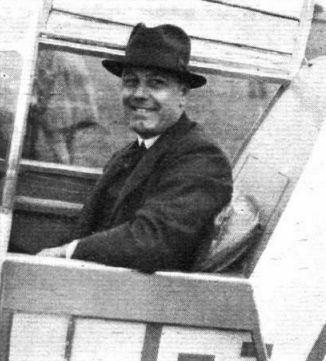 E. W. Percival, who has more machines in the race than any other constructor. 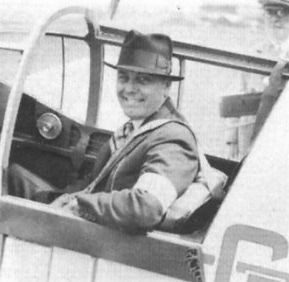 Capt Edgar Percival, hat and all, seated in Mew Gull G-AFAA. Interior view of the cabin of H.R.H. 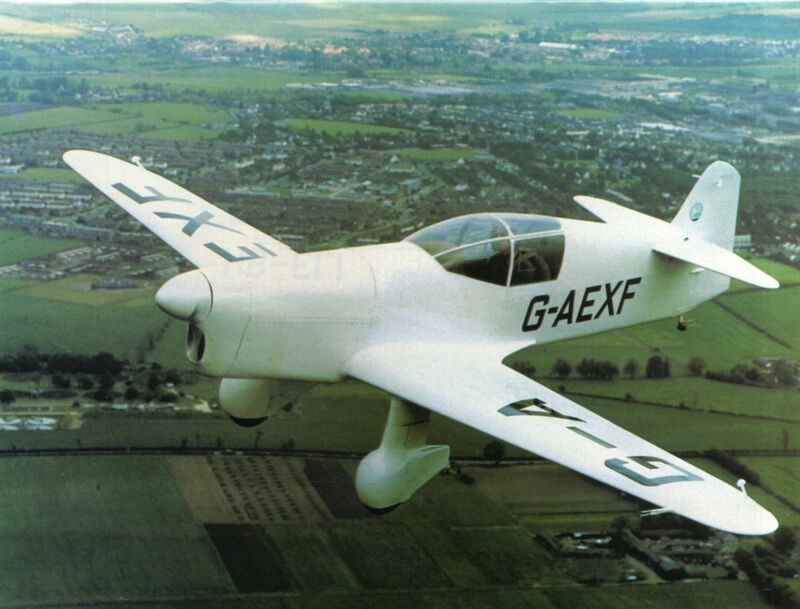 the Duke of Kent's Mew Gull, which Capt. Percival flew into sixth place at 208.91 m.p.h. 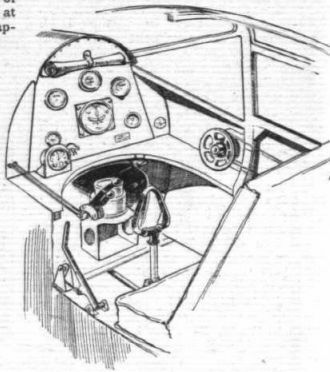 On the left side of the cabin floor is the flap operating lever. Arrangements for the comfort and safeguarding of a Mew Gull pilot. Not the least interesting feature the Irvin chair-type parachute. The instruments and controls of Gardner's Mew Gull. 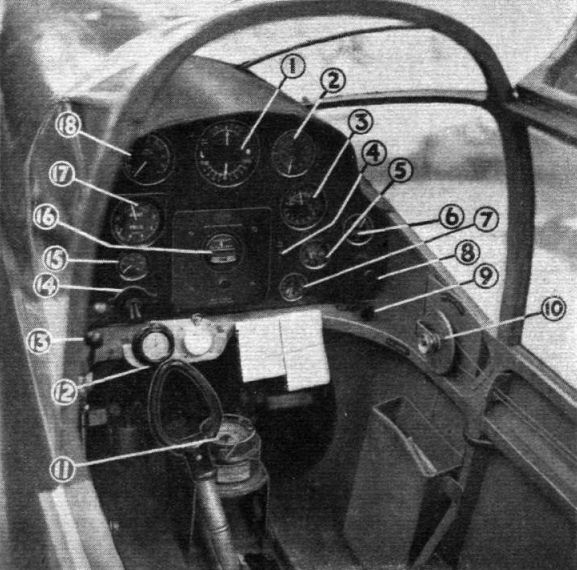 The majority of instruments, unless otherwise indicated, are Smith's :- (1) Reid and Sigrist turn-and-bank indicator, (2) Airspeed indicator. (3) Altimeter - another is concealed by the card at the foot of the panel. (4) and (5) Air intake temperature switch and indicator. (6) Fuel gauge - another is hidden on the extreme left of the panel. (7) Clock. (8) Air intake and flame-trap control. 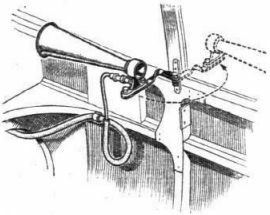 (9) Airscrew pitch control. (10) Tail trimmer. (11) Compass. (12) Stop watches (13) Throttle and altitude controls. (14) Ignition switches. (15) Oil pressure. (16) Sperry directional gyro. (17) Boost pressure gauge. (18) Engine rev. indicator. The flap control, not visible in this view, is below the throttle controls. Venturi tube on a swivelling mounting on Henshaw's Mew Gull. Exterior view of the cabin of H.R.H. the Duke of Kent's Mew Gull, which Capt. Percival flew into sixth place at 208.91 m.p.h. 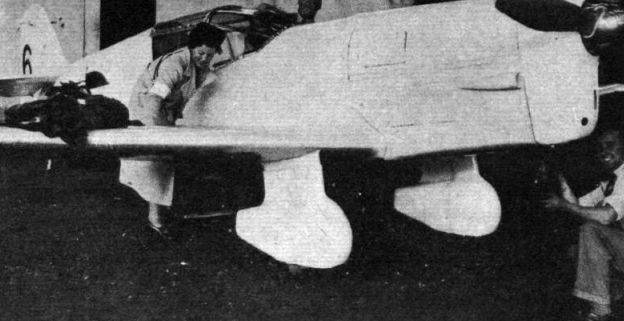 The modified empennage on the Percival "Mew Gull." The air intake in the cowling of Capt. 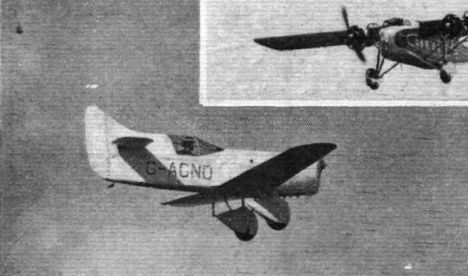 Percival's Mew Gull, near the airscrew, gives a boosting effect.